Vinyl LP pressing including digital download. 2013 release, the fourth solo album from the Las Vegas-based Alt-Rock band. Produced by Butch Walker (Fall Out Boy, Weezer), Too Weird to Live, Too Rare to Die!! sees the band paying homage to their Las Vegas roots via a glittery sonic approach inspired by their ever- increasing collection of vintage and modern synthesizers. 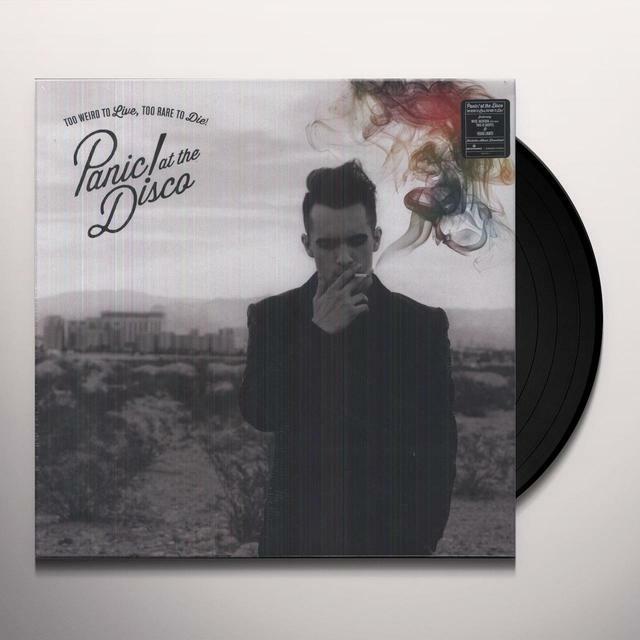 While jam- packed with high- energy songs like "Vegas Lights" and "Nicotine," the album also features Brendon Urie's most open and introspective songwriting to date, with highlights including the tender paean that closes the collection, "The End of All Things. " 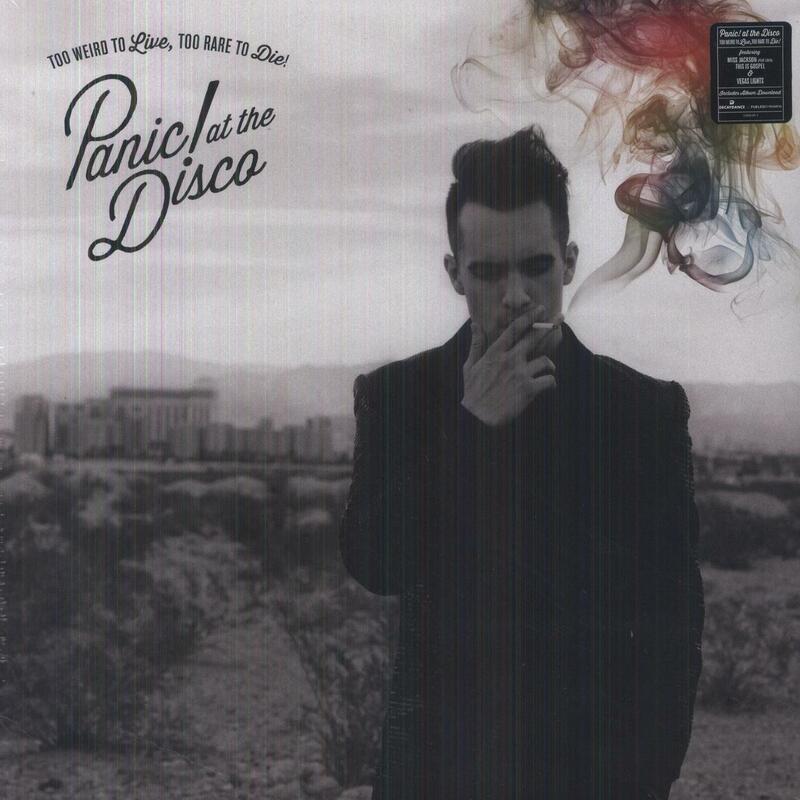 Simultaneously celebratory and cathartic, Too Weird to Live, Too Rare to Die is Panic! At the Disco at their distinctive best -personal, potent, and utterly irresistible. Love Panic At The Disco? Be first to know about Panic At The Disco merch.